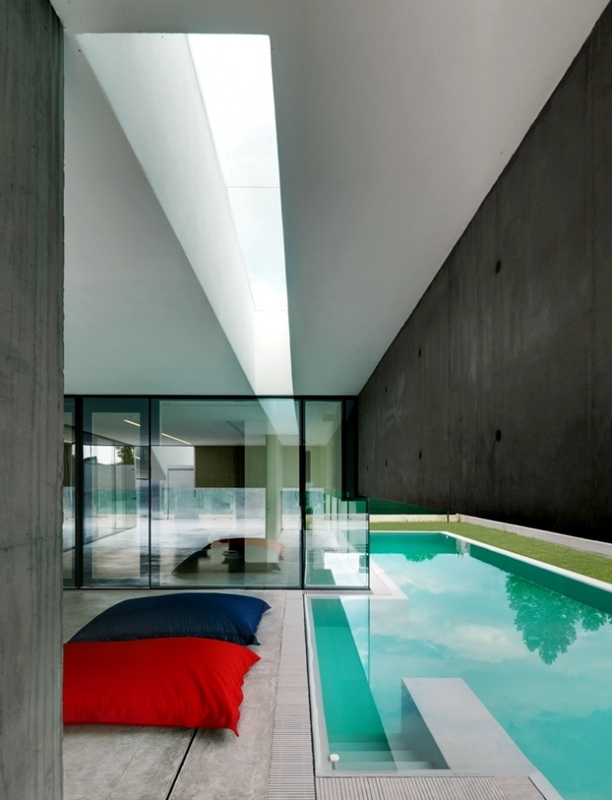 On a small plot in a residential area of Urgnano (in the region of Lombardy, Italy) is a solid concrete house on the bottom of northern Italy landscape mountain hikes. 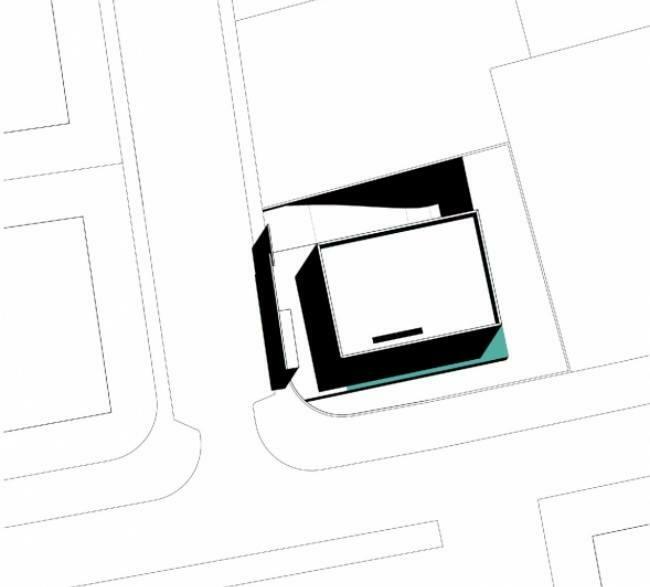 Via Basella oriented parallel to the building was reduced to a simple rectangular volume. 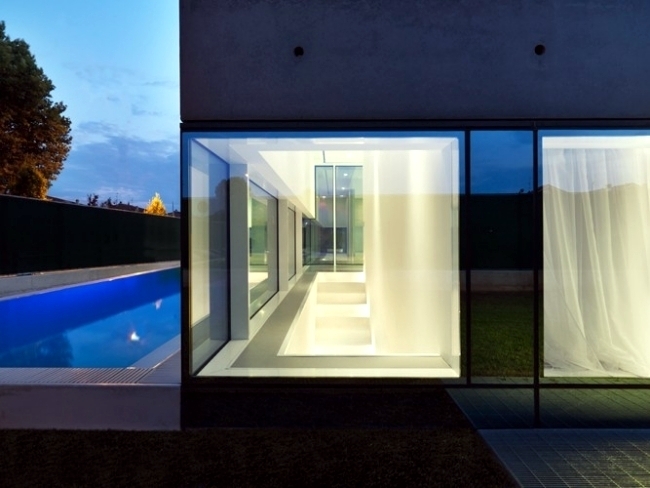 Linear architectural elements correspond to the skyline and create a natural transition. 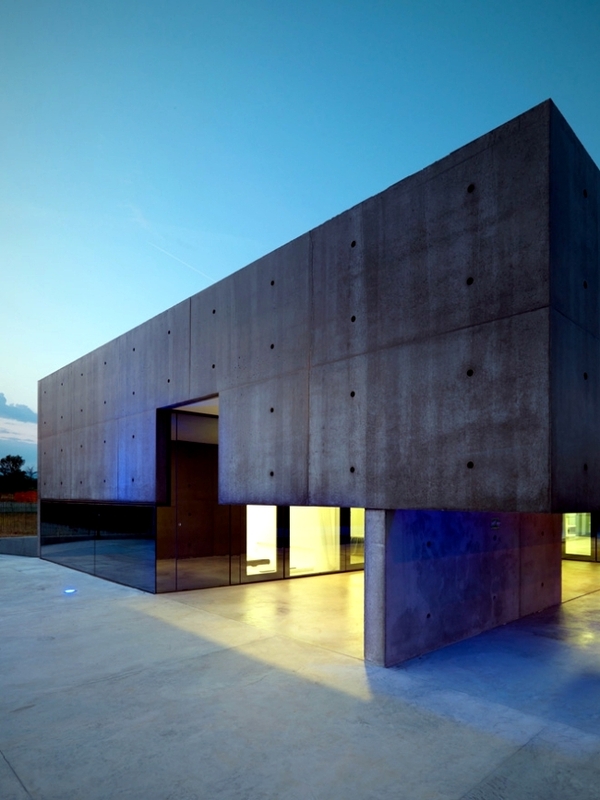 The exclusive design of the house is an architectural concrete studios Matteo Casari architetti. 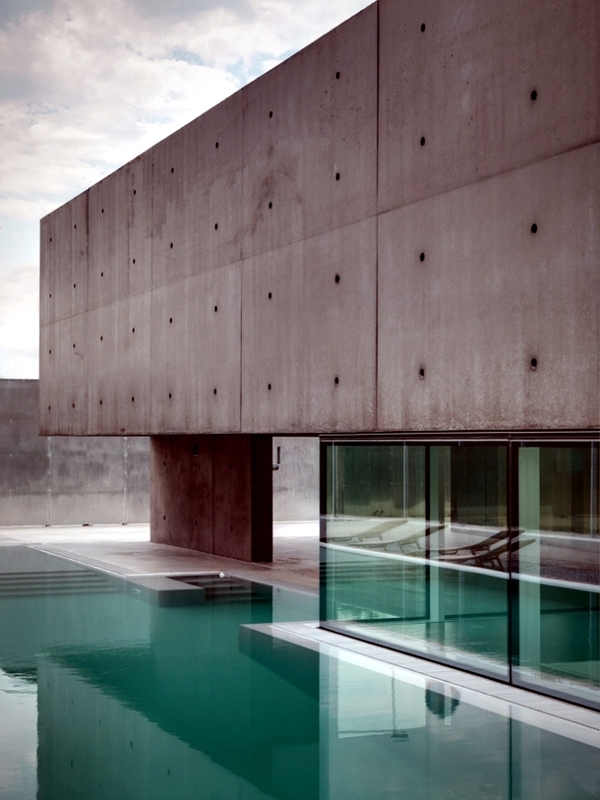 With regard to the typological and stylistic choices of the structure seems simple enough. 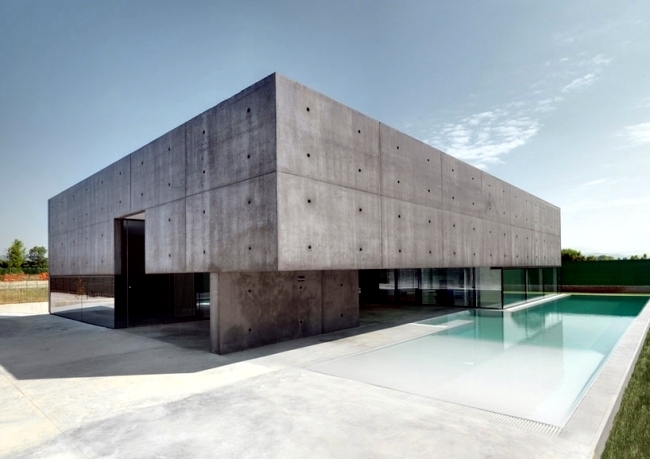 Despite its strict geometry and before the concrete, the house blends into its environment very well. 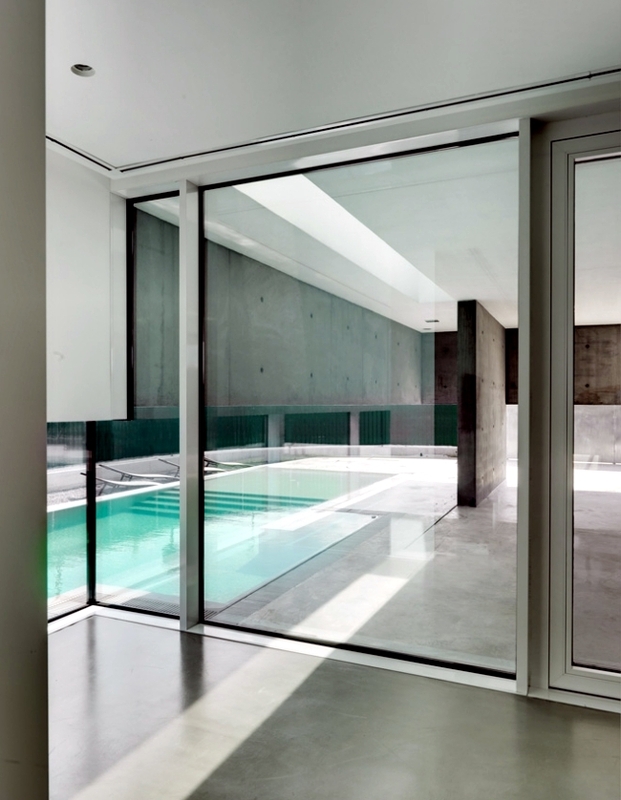 Visual relationship with the environment is enhanced by full-glazing. Indoor and outdoor spaces are compatible with each other. 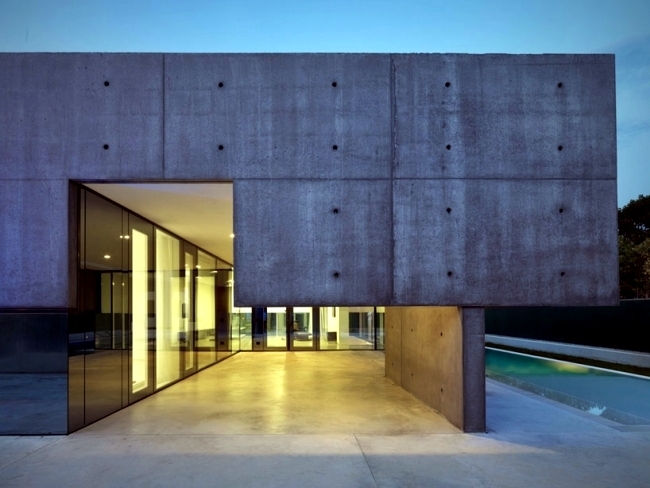 The outside and inside in the concrete is used as building material. Living spaces are open and exposed generously. 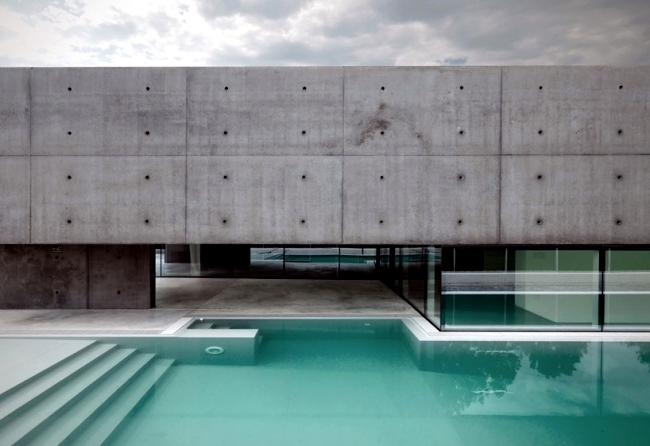 The concrete house with private pool offers a safe behind the thick concrete walls. 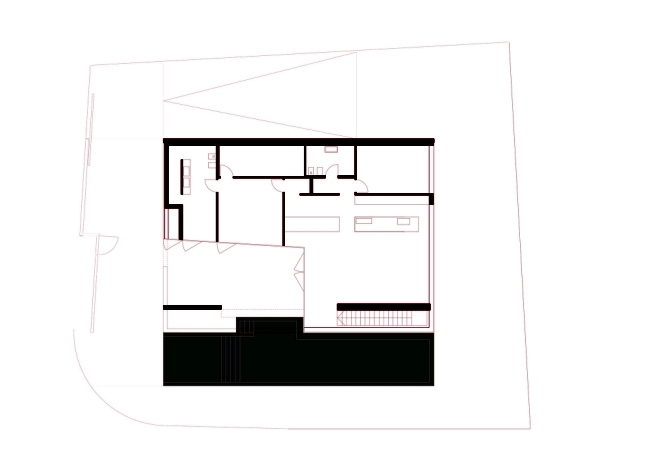 The living area is 1570 square meters. Through the use of natural light was carried out in the living room. 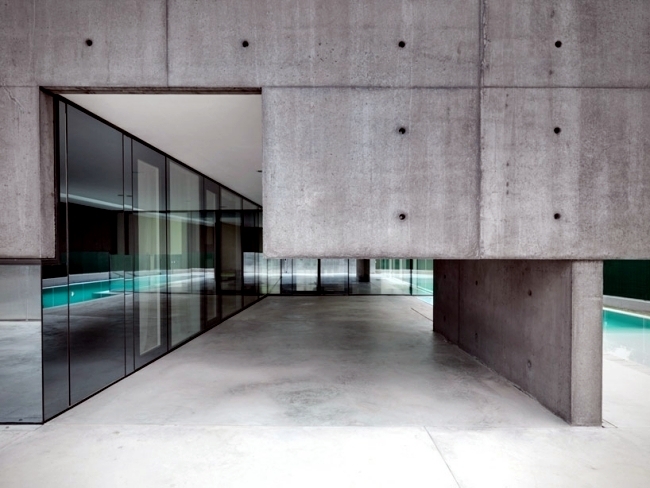 Concrete walls that contrast with fresh home accessories subtle color that provide warmth. 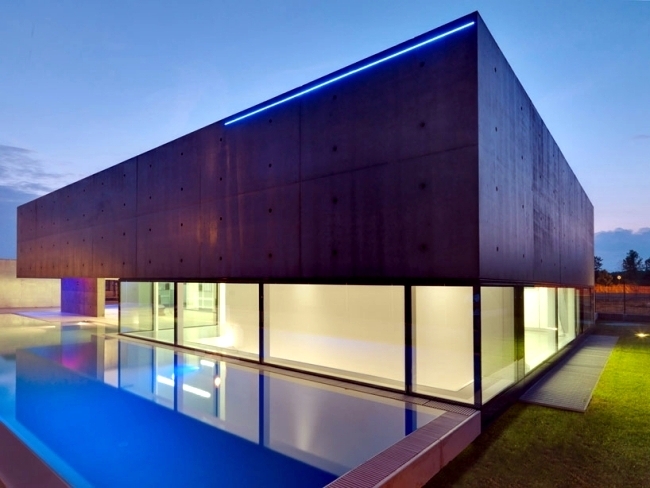 The interaction between anthracite surfaces and light creates the effect of a particular brightness.